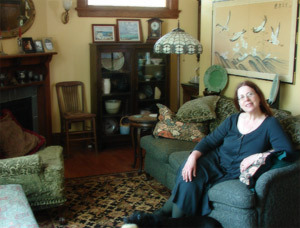 Sherry Ladig - Saint Paul, MN Celtic & Traditional musician and composer. Sherry Ladig is a musician and composer in Minnesota’s Twin Cities of Saint Paul and Minneapolis. A frequent performer of many styles of folk music including Traditional Irish (Dunquin), Scottish dance and concert performance (Dalwhinnie), mid-to-late 19th century American (The New Pearl Buttons), and Elite Rabble (music from the Georgian and Regency periods, including English Country Dance music and British naval music). Sherry performs Celtic and 19th-century historic music regularly in the Twin Cities. Dunquin, Dalwhinnie, and all Sherry’s bands are available for private or public events all around the Twin Cities metropolitan area. Contact Sherry to arrange a gig! Also an active composer, Sherry is the composer-in-residence for the Minnesota Mandolin Orchestra and composes a wide range of works for all types of instrumental and choral ensembles.